After 30-odd hours of Mass Effect 2, I finally completed it. The suicide mission itself feels so small and emaciated next to… well, then entire rest of the game. 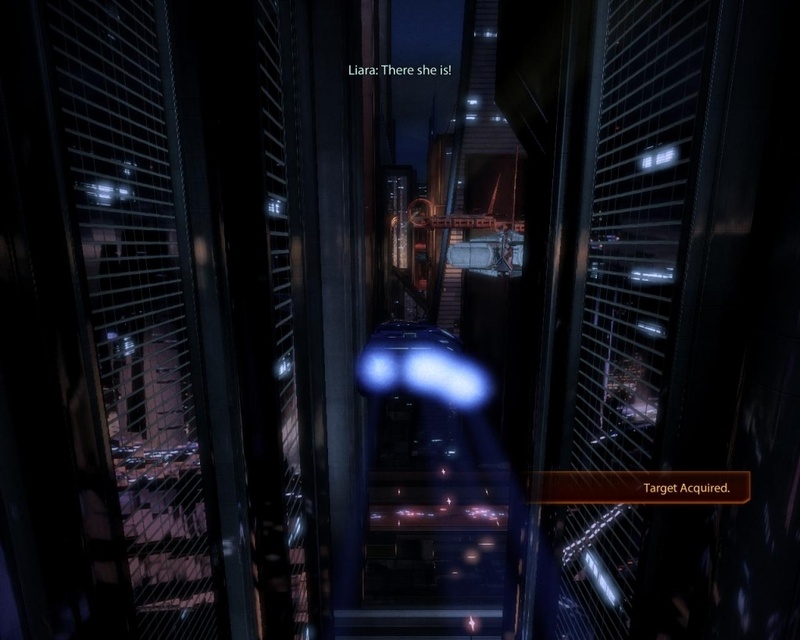 I had reservations about Lair of the Shadow Broker, much like I had reservations about many other parts of ME2, in relation to the plot of Mass Effect. Like Command & Conquer: Tiberian Sun‘s Scrin Ship, the Shadow Broker felt like something that should be left misty and unexplained — an extension point that leads off into the dark, but is never expanded upon. Something that echoes against the main quest in only the lightest of ways. 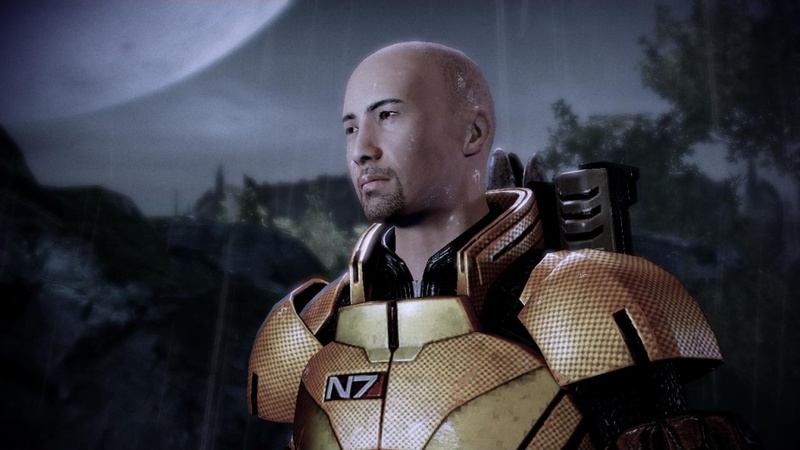 But like the rest of Mass Effect 2, it wins me over with drama, wit and scenery. I am shallow. 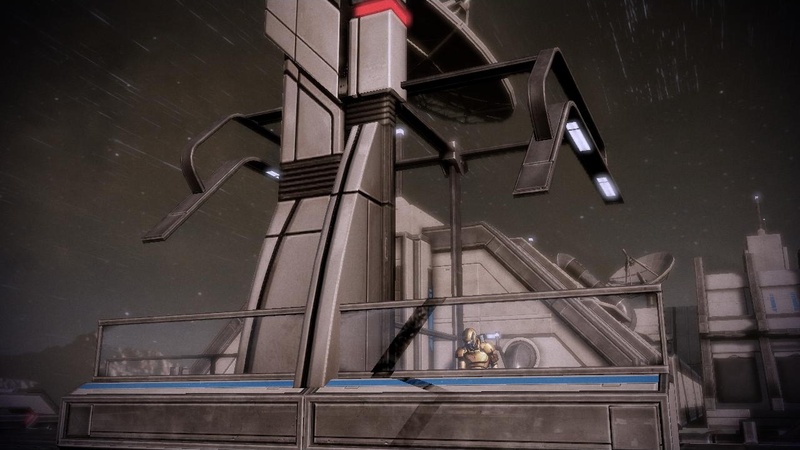 This DLC pack demonstrates just how clearly Mass Effect wishes it was Star Wars. From another case-the-flat-for-clues mission to raiding an exploded trade centre, into a car chase through the skies of Corusc– I mean, Illium, to fighting up the storm-wracked hull of a ship not unlike climbing Citadel Tower at the finale of Mass Effect… Lair of the Shadow Broker is a big juicy chunk of sub-plot slathered in all the good stuff. The campaign also contains two heavily scripted boss fights, the first of which felt somehow reminiscent of the battle against Hyper Metal Sonic at the end of a Knuckles playthrough of Sonic 3 & Knuckles. This pack really has it all — but weighing in at 800 points to the 560 of all the others, it really should. Of course, even once you’ve beaten the Shadow Broker himself, the bonus content doesn’t stop. You get access to his lair and all the joyfun it contains — amusing dossiers on your favourite characters, a video camera log that allows you to see various different people punching the reporter… Throw on some ways to make money and get resources (anything to reduce the amount of actual mining), and you have a nice little second home. This DLC is just a storm in a teacup. People said nasty things about Arrival. It’s a prelude to Mass Effect 3, providing proof that the Reapers are, in fact, coming to get us. Vague main-line plot spoilers for this pack ensue, just so you know. It starts off fairly low key — rescue a spy from a Batarian prison. The prison is a bizarre maze of third-person almost-sneaking, where you can actually avoid quite a few guards by picking alternate routes as you thread your way through. There weren’t any penalties for killing guards, though, so I’m not entirely sure where they were going with this. Perhaps the most important thing to note is that all of Arrival takes place with Shepard alone — no squaddies. Presumably this is because they blew their entire voice-acting budget on Lance Henrikson reprising his role as the glorious Admiral Hackett, and having no other characters to worry about obviously reduces this dangerous money-leak. Then again, it does make sense to do a stealth infiltration mission on the low-down, but as noted, killing everyone doesn’t have any down-sides. The WetShep rain effects in the first split seconds of the initial mission are a nice touch. So this spy and her crew of deep-cover or whatever Alliance bods have built up a very shiny base on an asteroid, apparently out of parts smuggled in on the quiet from Omega (it’s a very posh base (not to mention bloody massive), so I find this a bit of a stretch). In order to stop the Reapers (or rather, slow them down by a few months as they have to go to the next relay on foot), this Mass Relay right on the edge of the galaxy needs to be nuked. Destroying the relay obviously results in a Giant Explosion, which will kill everything — including 300,000 Batarian colonists. The number 300,000 is bandied about a lot, just so you know how many lives you are snuffing out as you have no choice to make here — Shepard just activates the engines and lets the colonists die. I can understand why they don’t let you make a decision. The countdown in the DLC (the totally unnecessary countdown which could easily have been stripped or pushed back to add some other dimension to the sacrificing of 300,000 people) puts the Reapers’ arrival at a matter of hours by the time you get into gear. Clearly, the Reapers don’t invade in ME2, so there is only one conclusion the game can support — you destroy the relay successfully. 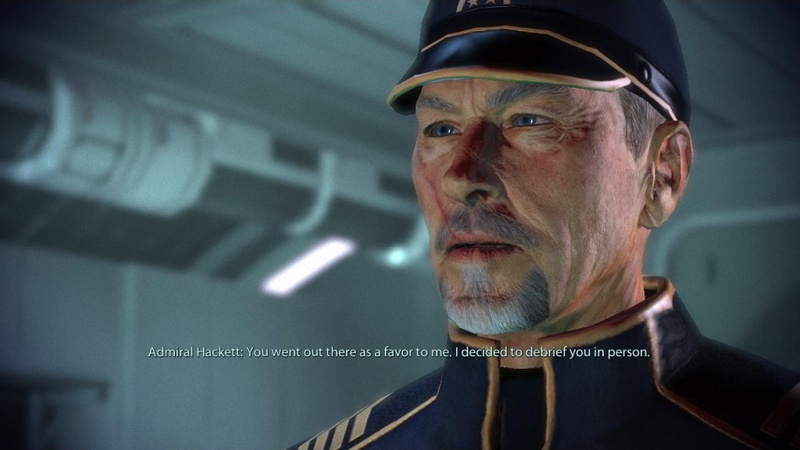 Admiral Hackett sounds strange without all the voice effects. Lair of the Shadow Broker is a definite must. A lot of good new content, from fairly basic combat runs to extra gimmicks and gritty boss fights, it is a consistent delight. And it apparently lets you continue to romance Liara, but I never had her in the first game so I’m less concerned about this. Probably should so I can get 100% coverage, but that’s another blog for another day. 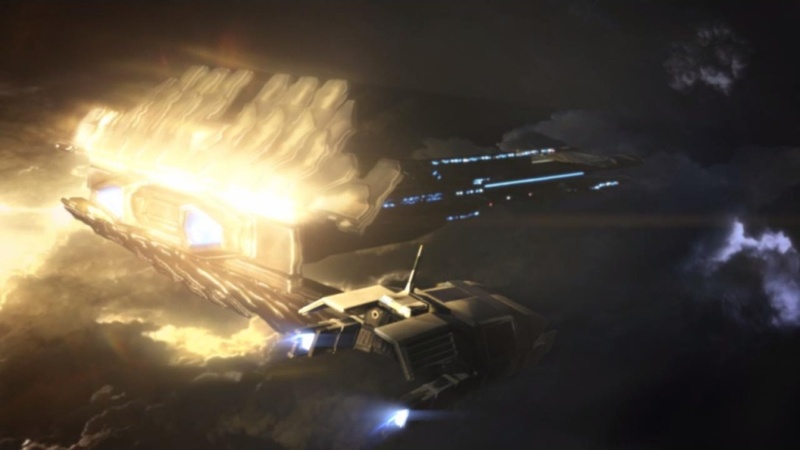 Arrival is less worth it, but as a prelude to Mass Effect 3 I suspect having blown up 300,000 Batarians is going to come back to bite everyone in the bum. I found the actual mission content fairly fun, the environments suitably attractive; plot concerns aside, it’s a decent little sub-unit. This entry was posted in Gaming and tagged "Reapers", admiral hackett, bioware, DLC, Liara, Mass Effect 2, shadow broker by Rao Dao Zao. Bookmark the permalink.